With less than two weeks to go until the rapidly put together middleweight title defence between champion Gennady “GGG” Golovkin 37-0-1 (33) and challenger Vanes “The Nightmare” Martirosyan 36-3-1 (21) at the StubHub Center in Carson, California,the two protagonists held an open workout at the Glendale Fighting Club in Glendale, California on Monday afternoon. The 31-year-old Martirosyan, a junior middleweight who hasn’t fought for two years, knows that the opportunity to fight for the WBA, WBC and IBO world titles was due to a combination of good luck and bad company. “I’m happy to get this opportunity. I didn’t even think I was going to get a fight. I know you’re all thinking he’s fighting a giant. I want to win this fight,” said Martirosyan. “The boxing game is about who you with. 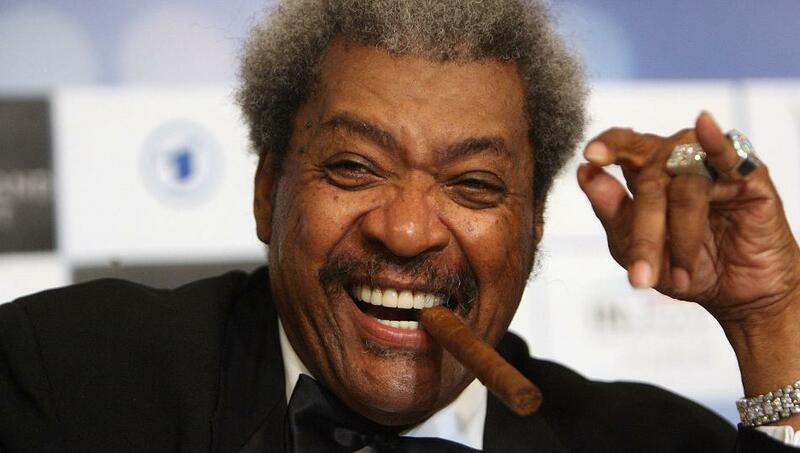 I’m happy Don King took me under his way. Don King told me. There’s this guy Triple G, do you want to take this fight. I was like, hell yeah. Golovkin, 36, is just happy to be fighting after his original opponent Saul “Canelo” Alvarez was forced to withdraw from their rematch scheduled for the same date at the T-Mobile in Las Vegas, Nevada after twice testing positive to the banned substance clenbuterol in tests conducted in February. “I’m happy for my next fight. I have known Vanes from the Olympics. He is a good fighter and has a strong team. He is a good guy and a real guy. He is not an easy fight. It’s a good fight, not an easy fight. This is boxing nobody knows. I wanted this fight and I believe my style, power that I will win this fight,” he said. The IBF title, which Golovkin also holds, won’t be on the line as the New Jersey-based sanctioning body wouldn’t approve the Armenian-American as an opponent.